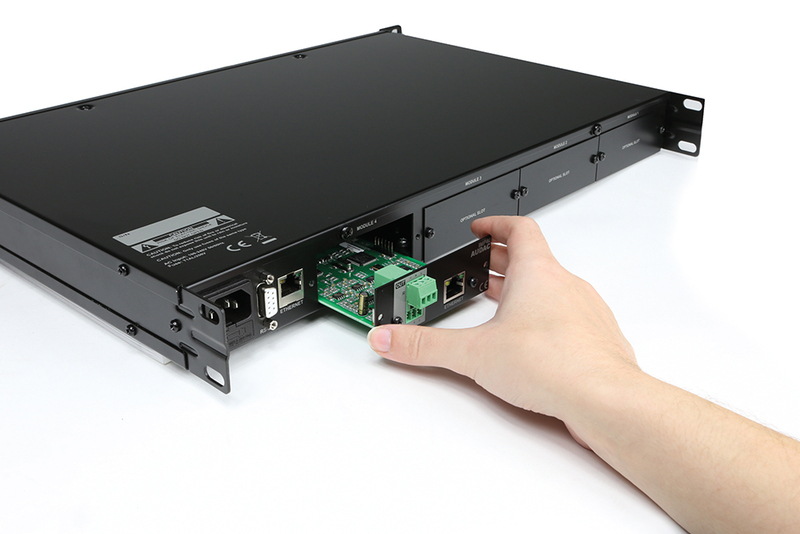 AUDAC’s XMP44 is a professional modular audio player with 4 SourceCon™ interface card slots where to a wide variation of optional modules can be installed. The variety of available modules ranges from FM tuners to DAB&DAB+ tuners, internet radio tuners, voice file interfaces and many more. 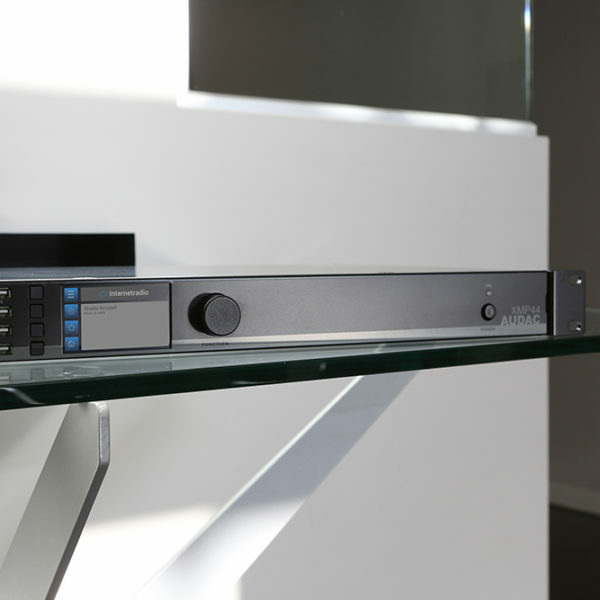 Simultaneous operation for all four modules makes it a compact multi-source system which is the perfect expansion for any multi-zone audio system. The front panel of the system accommodates a 2.8” TFT display in combination with a push rotary function dial and 4 tactile pushbuttons. The controls and indicators on the front panel of the unit are guaranteeing an intuitive and user friendly operation, allowing hassle free operation and configuration to even unexperienced users. 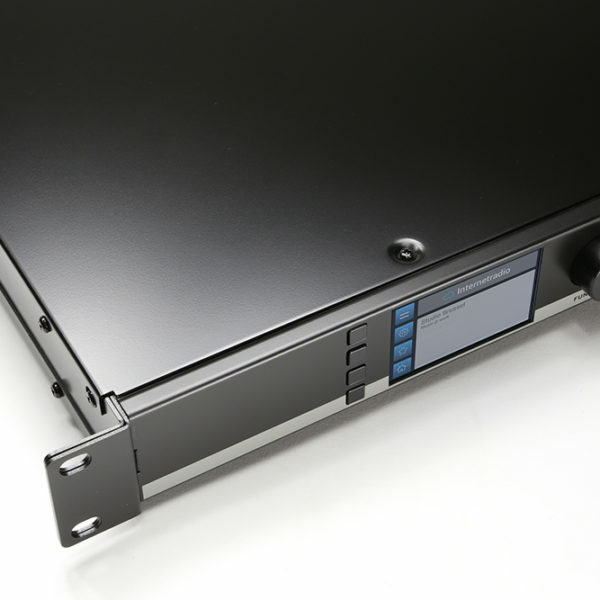 Four USB interfaces (one for each module) are enabling playback or storage of media and voice file, while pre-listening for each output is possible through a built-in PFL speaker with individual volume control. Both RS-232 and TCP/IP communication ports are implemented, allowing system integration with any home or industrial automation system. 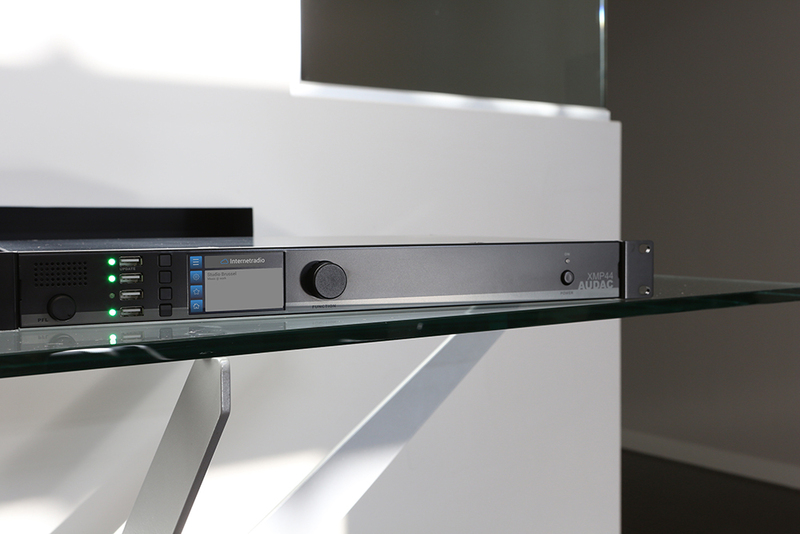 The XMP44 makes a perfect fit with yet another innovation of the Belgian audio manufacturer, namely their AUDAC Touch application. Enabling the user to control his entire audio system in a very intuitive and simple way from any device on any location at any time. 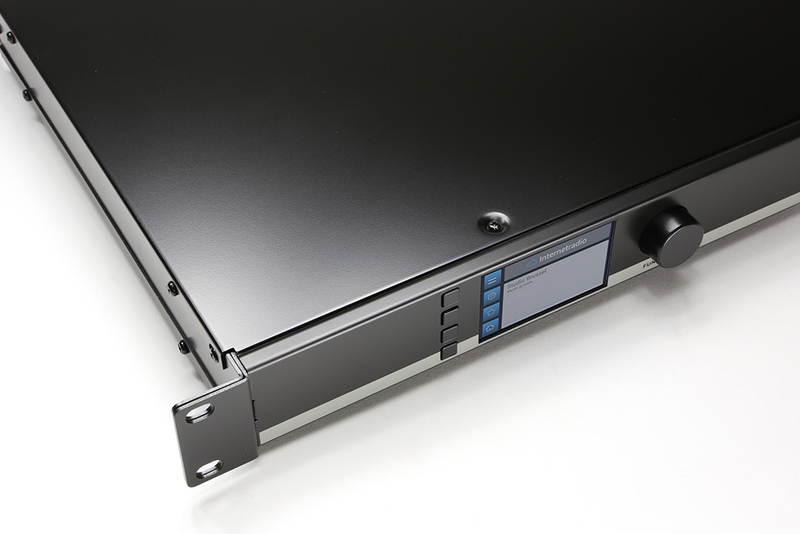 Recently an optional Dante™ interface was made available for the XMP44. 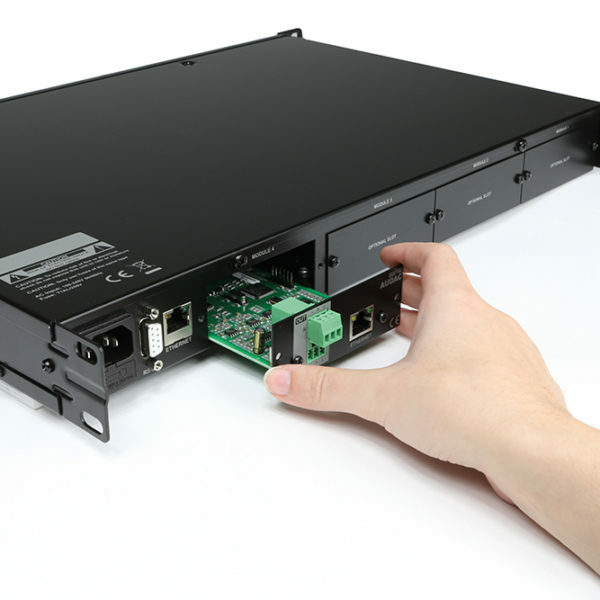 The installation of this network interface allows receiving and sending of low latency, high quality audio over a standard Ethernet network. Making it world’s first audio player on a Dante network!